Udemy is an online learning marketplace that connects customers with various kinds of paid educational courses. While these are not credentialed courses that you would find at a college or University, they offer job related skills and detailed information on topics such as photography or using certain computer programs. The privately held company is based in Silicon Valley, California, United States, and the website is found at Udemy.com. The site often runs special deals that allow you to get money off courses by redeeming Udemy coupons. We update a list of these whenever new offers become available, so be sure to check back if you're thinking of ordering. Udemy was founded by Eren Bali in Turkey, in 2007. It was initially developed as a software program to connect teachers and students in a virtual classroom. He took the idea to tech hub Silicon Valley, where he joined with Oktay Caglar and Gagan Biyani to launch the first incarnation of the website in 2010. Within the first few months over 1,000 instructors (course providers) and 10,000 students (course buyers) had registered. By August that year they had raised over $1 million in venture capital and have continued to raise multi-millions since then. Today the 3 original founders are still on board, while Dennis Yang serves as CEO. The service can be accessed through the web and now an app as well. Udemy provides courses on a wide variety of subjects, though there tends to be a focus on computer and tech based topics, such as programming and learning to use software. Categories include IT & Software, Marketing, Design. Development, Languages, Photography, Business, Productivity, Lifestyle, Health & Fitness, Music, Teacher Training, Test Preperation, Academics, among others. Course are delivered in a number of ways but often include Videos and Powerpoint Presentations, PDF files for worksheets, and sometimes live streaming. Instructors may keep in contact with students via email or the in-built message board feature. A lot of course are automated and pre-set, with the instructor only on hand to answer queries. There are also a small number of free courses. Depending on the offers available the time you might be able to use a Udemy coupon code to get discounts on all courses, or specific courses only. Udemy accepts all common credit cards for payment, such as Visa, American Express, Mastercard, and Discover. You can also easily pay and checkout using Paypal. 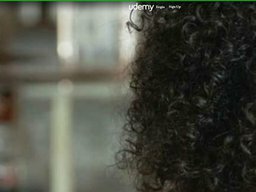 if you wish to redeem an Udemy coupon code, all you have to do is copy the code over from Coupofy and paste it in to the promotional box at Udemy during checkout. You will spot it before the payment step, and if the Udemy promo code is entered correctly your total order cost should drop according to the offer. Udemy courses are all fully digital. Once payment is complete you will have access to all of the files, videos and online features from within your account, and you will also be emailed with the links. Depending on which course you purchase, you might be given lifetime access or access for only a set period. In this case you might not be able to download the files to your computer, but you'll still be able to view them in your account. Since 2014 you can now also access most course materials through the Android and iOS mobile apps. Udemy operate a 30 day refund policy, allowing you to cancel a course at any time within 30 days of purchase for a full refund. Course providers are paid after the 30th day, meaning no refunds can be processed after this point. Udemy also reserve the right to reject a refund. It is common for refunds to be rejected if the user has downloaded all of the course material to their computer, as they would still have full access even after the course is cancelled. Obviously if you have used any Udemy redemption codes, you will only be refunded the true amount charged to your payment method after the code was applied. @missjamiekaren What are you waiting for?! You got this.